LeeAnne was born, raised, and educated in Richmond, Virginia where today, she happily balances being a wife, mother, and an artist. 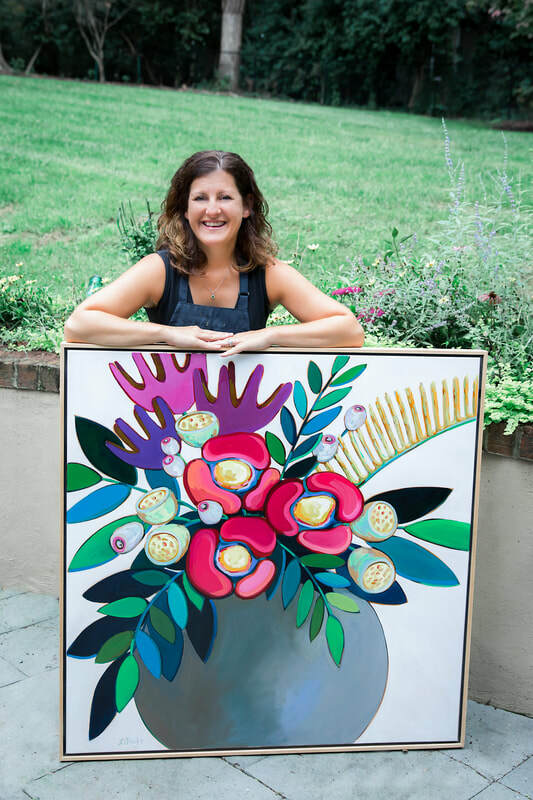 Earning her Bachelor of Arts degree from the University of Richmond, and then her Master’s degree in Fine Arts at Virginia Commonwealth University, LeeAnne has exhibited her work over the years in various venues including the Red Door Gallery in Richmond, Va, Gregg Irby Fine Art Gallery in Atlanta, GA, the Virginia Museum of Fine Arts Studio School, The Corner Gallery in Norfolk, VA, Stockley Gardens Art Show, and the Virginia Beach Boardwalk Art Festival. Currently she owns and operates a professional art studio, Yellow Door Art RVA.